My name is Anthony Emeka and I am the founder of The Baldwin Gentlemen– a private member’s club for gay men of colour in Los Angeles. I am Black. I am gay. I’m a super extroverted son, brother, and friend who seeks joy, happiness, and adventure in every aspect of life. I like to connect people, build communities, and embody the true essence of being my brother’s keeper. BlackOutUK: Where are you from? Originally, I’m “from” Nebraska but I like to say that I’m L.A. bred, Berkeley educated, D.C. polished, Toronto trained, and global living. I’ve just had so many fantastic experiences and had so much personal growth in all of those places that they’re all home to me. At the end of the day I’m from planet earth. The Baldwin Gentlemen! We just launched in April 2017 and it has been incredible! We have produced some pretty dope events and we’re constantly meeting some of the most down-to-earth movers, shakers, and innovators in Los Angeles. The men who have joined our club since our launch are nothing short of amazing! Currently, we’re in the process of identifying new ways to grow and diversify our membership, and refine our brand. We want Baldwin to be known for curating the most memorable experiences for gay men of colour in Los Angeles. We’re evolving every day and it is our aim to launch in other major cities in North America including Toronto, Washington, D.C., Atlanta, New York, and Chicago. We hope to make it to London as well. BlackOutUK: What got you started? The idea for The Baldwin Gentlemen first came to me when I was living in D.C. in my late 20’s. I wanted to expand my social circle but I felt relegated to the usual bars/clubs, hook-up apps, and social media – none of which offered what I was looking for. I wanted richer cultural experiences like wine tastings, sporting events, live theatre, and so much more. As I explored D.C. and other U.S. cities I realised there was a deficit of social spaces that target gay men of colour. It was then that I saw an opportunity to create something special for gay men like me who longed for something “more” and “different” beyond what we have been accustomed to or felt forced to accept. I let this idea incubate while I was in business school and launched The Baldwin Gentlemen after returning to Los Angeles. Baldwin’s goal is to create memorable experiences for gay men of colour in Los Angeles who seek to increase their social capital and expand their cultural palate. BlackOutUK: What have you learned? Anyone who knows me knows that I LOVE feedback. I aspire to be great in everything I do and I’m a strong believer that I can’t be great without feedback. However, in my work with Baldwin, I’ve learned that not all feedback is constructive. I’ve learned that it is important to differentiate between what is truly constructive feedback and what is hateful, uninformed, and/or misinformed opinions about me, or Baldwin. Many people like Baldwin, others are still warming up to us. And that’s okay. We just hope they give us an objective opportunity to show them what we’re all about. 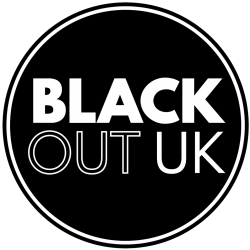 BlackOutUK: How can people get involved? Great question! We are growing our membership everyday so in addition to that, we’re committed to ensuring that our members and guests continue to have memorable experiences when interacting with all things Baldwin. We have some pretty awesome concepts we’ll be rolling out at the top of 2018 but you’ll have to stay in touch with us to find out what they are!